In today’s episode, Brian, Chris, and Brandon talk about the signs that you may be headed for burnout as a leader, and a few ways to hopefully avoid them. Signs of burnout discussed from Emotionally Healthy Spirituality by Peter Scazzero. You are using God to run from God. You are ignoring the emotions of anger, sadness, and fear. You are dying to the wrong things. You are doing for God instead of being with God. You are spiritualizing away conflict. You are living without limits. On today’s episode, Chris, Brian, and Brandon power rank disciple-makers in the Bible. On this week’s episode, Brian and Chris sit down with Barnabas Piper to discuss his book, Help My Unbelief: Why Doubt Is Not the Enemy of Faith. Barnabas is an author, podcaster, and speaker who lives near Nashville, Tennessee. He writes regularly for He Reads Truth and blogs at BarnabasPiper.com. He has authored three books, The Pastor’s Kid: Finding Your Own Faith and Identity (David C. Cook, 2014), Help My Unbelief: Why Doubt Is Not the Enemy of Faith (David C. Cook, 2015), and The Curious Christian: How Discovering Wonder Enriches Every Part of Life (B&H Publishing Group, 2017). He also co-hosts The Happy Rant podcast, a popular show discussing issues of faith and culture in a light-hearted, humorous manner. 1. Talk to us about your personal struggles with doubt. In what ways have you found doubt to be redemptive? 2. What are some things that the church can do to help with Christians struggling through doubt and unbelief? 3. How important were relationships and community in your process of working through your unbelief? 4. Is it ok for a small group leader to still have unbelief and doubt? How much should he/she share those doubts with the group members? 5. How can a group leader best navigate those group discussions where doubts are shared and answers are not evident? I knew everything I was supposed to know, but there was a disparity between that and those core beliefs that my hope rests in. That’s where the doubt lived for me. That doubt ended up leading me all the way through college…and eventually hit a wall. In the church, we get nervous about questions because it sounds like somebody is rejecting God, but often that’s an invitation for the Holy Spirit to speak into that person. There is distinctly a redemptive opportunity in questions and doubts if we see them as an opportunity and not a challenge. You have to be willing to answer the same questions over-and-over again, because some people will struggle with the same doubts for a long time. The group context is vital to this, because that’s where the doubts come out. There are doubts that you can put on the table that can rattle other people. You’re going to introduce a doubt to them that they have never considered. You have to have a barometer of what’s the right thing to say here, and what’s the right thing to say just to that other member. On today’s episode, Chris, Brian, and Brandon talk about how to deal with difficult people in your group. What constitutes a difficult person in a group? What steps should you take with that person? At what point do you ask that person to leave the group? What if you are dealing with a toxic small group? When is it ok to disband a whole group? We can misconstrue what is difficult for someone who is just a strong personality. You have to have an awareness and availability to deal with bigger issues. The difficult member can be someone who confesses the same sin every week. Ask the question: How are you growing in your joy in Jesus in this area that keeps coming up? Always start with “Yes, I am a sinner.” There are no non-sinners in that conversation. Ask the person to help you understand where they are coming from first. Ask yourself if you’ve done a good job of establishing what the vision of the group is. No one should feel like a hero and bear something they are not ready to bear. On today’s episode, Chris, Brian, and Michael discuss how to navigate the holiday season successfully with your group. Halloween is great time to get to know your neighbors. The holiday season can be a small group killer. You have to be intentional with what you’re going to do during the holidays. You want to avoid doing something just for the sake of doing something. You have to have a sense of reality and clarity when it comes to your group during this time. The holidays are great time for discipleship. There’s a natural vibe in culture to focus on the things of God. Our guest today is Trillia Newbell. Trillia is the author of the kids’ book God’s Very Good Idea, as well as Enjoy: Finding the Freedom to Delight Daily in God’s Good Gifts (2016), Fear and Faith: Finding the Peace Your Heart Craves (2015) and United: Captured by God’s Vision for Diversity(2014). Her writings on issues of faith, family, and diversity have been published in the Knoxville News-Sentinel, Desiring God, True Woman, Christianity Today, The Gospel Coalition, and more. She has spoken at numerous conferences, churches, women’s retreats, colleges and seminaries, including True Woman, The Gospel Coalition Women’s conference, Southeastern Theological Seminary, and more. She currently is the Director of Community Outreach for the Ethics and Religious Liberty Commission for the Southern Baptist Convention. In your book you say there is a richness in knowing — really knowing — someone who is different from you. Trillia, can you elaborate on this, maybe with a personal example, of what you mean here by “richness”. This is about as close to the heart of group life as it gets. As you have addressed issues like reconciliation and diversity, what biblical foundations have you tended to draw from? Let’s challenge ourselves with a different perspective. You are at times very transparent about your own experiences in United. You use words like fear, ashamed, and embarrassed. How would you articulate the experience of feeling alone even amidst hundreds of people. A church’s group ministry would seem to be uniquely positioned to serve others in ways that combat sentiments of isolation as it relates to diversity. How have you seen or can you see groups in their various expressions help churches work towards greater diversity and unity? How do you think groups can counter a sense of rejection that some carry? Trillia, why would a church work towards greater unity? It’s hard and in some places simply because of location and a city’s profile it feels almost impossible. In your opinion, why is it worth the effort? On today’s episode, Chris, Brian, and Michael power rank their top five discipleship books. Our guest today is Jonathan Dodson. Jonathan is the founding pastor of City Life Church in Austin, TX which he started with his wife, Robie, and a small group of people. They have three children. He is also the founder of gcdiscipleship.com and author of a number of books including Here in Spirit: Knowing the Spirit who Creates, Sustains, and Transforms Everything, The Unbelievable Gospel and Gospel-Centered Discipleship. He enjoys listening to M. Ward, watching sci-fi, and going for walks. How do you equip leaders to lead Fight Clubs? How do you support Fight Clubs from the pulpit and encourage participation? How have you seen Fight Clubs contribute to the ministry of the church and impact the lives of Fight Club participants? Gospel-Centered Discipleship released in 2012. If you wrote it today, what from your experiences in the last 6 years would you be sure to include? Here in the Spirit just released. How is this different from other books about the Holy Spirit? Talk about the backstory — what circumstances or insights led you to this specific topic? Our guest today is Ken Braddy. 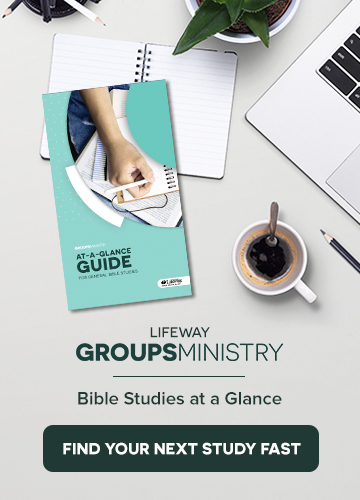 Other than serving as the manager for LifeWay’s ongoing adult Bible studies, Ken is an 18-year church education staff leader and blogs regularly about Sunday School and groups ministry at kenbraddy.com. OVERVIEW: Although Sunday school is an important ministry, many churches have not experienced the full potential of Sunday school. Sunday school is in decline in most denominations, and there is a lack of health and vitality it once had. Tell us how you went straight from college to working in the Obama White House. It seems like a lot of people come out of working in an administration very cynical about the process, but you express in your book hope and optimism for the future. How was your experience different? How did you manage your strong Christian beliefs while occasionally working with people who did not share them? Politics is always a tricky conversation in small group meetings. How should group leaders approach political topics when they are raised? Should they even be discussed? With another contentious election season coming up, how can people in small groups have healthy conversations while still holding opposing views? What is the ultimate hope for Christians in this political climate? Michael Wear is the founder of Public Square Strategies LLC, a consulting firm that helps businesses, non-profits, foundations, and Christian organizations at the intersection of faith, politics, and culture. Wear directed faith outreach for President Obama’s historic 2012 re-election campaign and was one of the youngest White House staffers in modern American history, leading evangelical outreach and helping manage the White House’s engagement on religious and values issues, including adoption and anti-human trafficking efforts. He holds an honorary position at the University of Birmingham’s Edward Cadbury Centre for the Public Understanding of Religion, and serves on the national board of Bethany Christian Services. He lives with his wife, Melissa, in Washington, DC. Michael is the author of Reclaiming Hope: Lessons Learned in the Obama White House About the Future of Faith in America.